Organizations worldwide are expected to invest more than $3.5 trillion in information technology infrastructure this year, according to research from Gartner. This figure represents an increase of 2.4 percent over enterprise IT expenditures recorded in 2016. Communications and IT services seem to hold the topmost positions in a vast majority of corporate technology agendas, with companies planning to spend roughly $2.4 trillion on these products alone. However, enterprise software is the fastest growing subsector of the IT market, boasting a compound annual growth rate of more than 7 percent. Assessment is the first step, the International Data Group reported. Here, project leaders review existing solutions and how they match with overarching corporate goals. Technical specialists often play a role in this stage, searching mission-critical applications to find structural faults that should be addressed in newer iterations. With this information in hand, IT modernization teams can clearly see what pieces of infrastructure require updates. That said, project stakeholders should avoid attempting to compile complete system snapshots. The reality is, modern backend technology changes too quickly to conduct this process with any kind of accuracy. The second phase involves collecting additional data on the conclusions established during the assessment stage. Ideally, project managers should present their verdicts to a variety of different parties inside and outside of the organization – this includes internal or third-party solutions providers, administrators and end users – in an effort to gauge their accuracy. The individuals in these various classes can offer important insights that shape IT modernization efforts going forward. "Organizations worldwide are expected to invest more than $3.5 trillion in information technology infrastructure this year." Using the validated system assessment information compiled over the first two stages, organizations can then move on to the third phase: project scope construction. Here, teams tasked with updating backend solutions synthesize their initial findings and draft technical requirements for potential solutions, all the while keeping in mind the larger business targets newer systems must help staff meet. IT modernization groups must also address resourcing during this step. This analysis should not only cover financial variables but also take into account the potential manpower required to execute on any kind of successful technological improvement strategy. During the final phase, internal teams further synthesize their earlier findings and present multiple options for updating existing digital infrastructure. Each of these recommendations should include costs, benefits and constraint details so that executives and others responsible for greenlighting implementation can make informed, sound decisions. With ideal solutions in hand, IT modernization groups can formulate formalized roadmaps that include all of the insights collected during the initial assessment and solution discovery stages, as well as recommended application remodeling pathways and estimates. This document provides everyone involved in IT modernization efforts with definitive guidelines that not only address granular technical components but also include information on the wider business goals that new systems, when completed, must address. 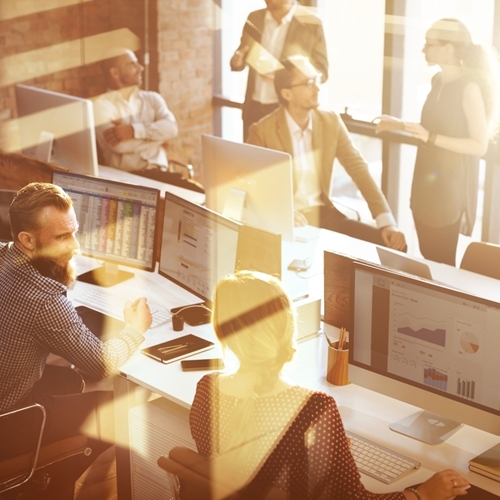 While performing assessments and developing content for IT modernization roadmaps, some businesses come to the conclusion that more simplified solutions may do the trick as opposed to more ambitious efforts that may include training for staff and other ancillary efforts that support change management. However, this is very rarely the case, Government Technology reported. Enterprises with significant backend performance gaps must address them with equally extensive updates. Future-proofing an operation is no easy task but businesses losing ground in the marketplace against more advanced competitors owe it to their customers and employees to take real action and make changes. Businesses that pursue meaningful technological solutions and roll out strategies designed to ease the operational shifts these systems bring can find long-term success, inside and outside the organization. IT modernization is an inherently risky proposition. While the marketplace may demand that outmoded firms change the way they operate, the potential for increased earnings does not make it any easier to dismantle established workflows and invest in new processes based on effective, yet operationally unproven technology. The margin for error here is miniscule. For this reason, teams tasked with implementing new internal backend solutions and related methodologies must gain the support of the influencers populating the executive suite. How do project stakeholders go about accomplishing this goal? Articulating a clear and concise business case for IT modernization is the best place to start, analysts at Deloitte found. Most C-level leaders are less concerned with system features and more focused on how those components drive progress and bolster the bottom line. Of course, laying out a similarly coherent roadmap for implementation is another key technique. This document can speak to the seriousness of the project and includes the financial information executives need to make their final decisions. 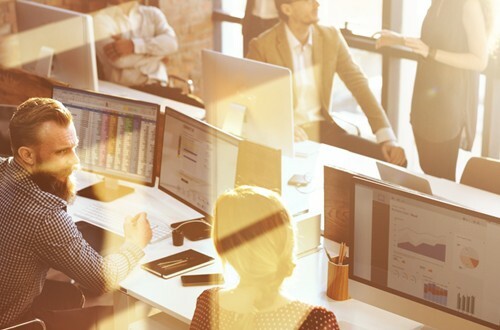 By providing this information and keeping connected with business leaders throughout implementation, IT modernization teams can gain essential support from corner office dwellers and increase the likelihood of project success. Is your organization prepared to embrace new enterprise technology and re-establish its competitive edge in the marketplace with an IT modernization program? Connect with Inventu Corporation. Our innovative Flynet Viewer simplifies screen integration, easing the modernization process while meeting employer and staff expectations in a way that feels both familiar and simple. Review our product page to learn more about the Inventu Flynet Viewer and the other solutions in our extensive product portfolio.